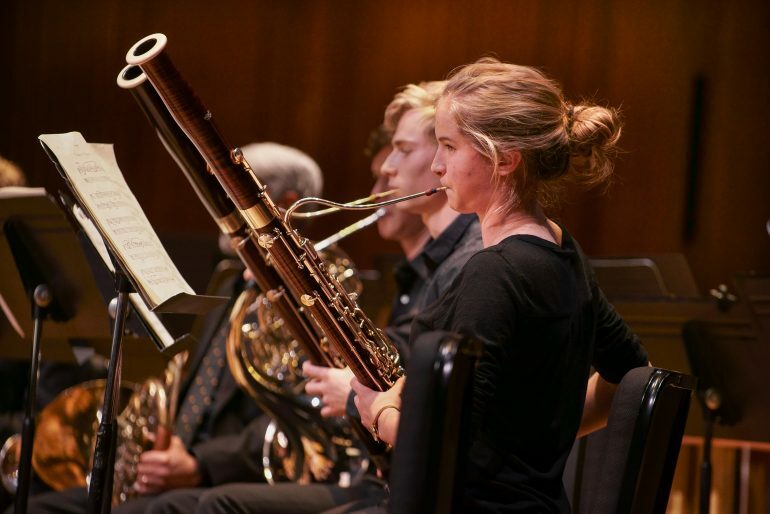 The Williams College Wind Ensemble presents artistic programs blending traditional and contemporary wind band music. 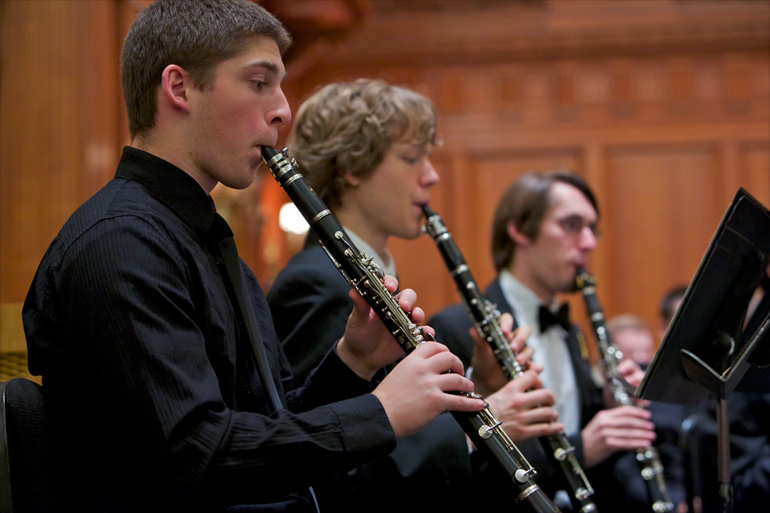 The ensemble often features adventurous programming, new music, and student conductors, composers, and soloists. 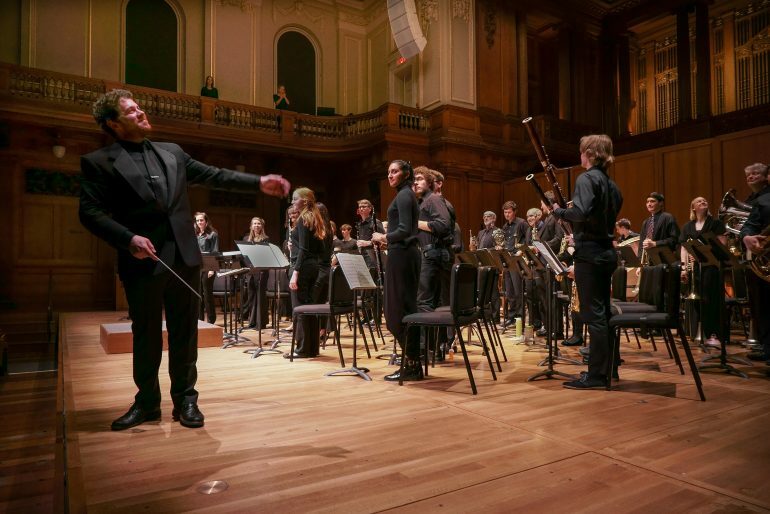 Recognized as one of the premiere undergraduate wind ensembles in New England, the Williams College Wind Ensemble performed at both the 2006 and 2010 College Band Directors National Association Eastern Division Conferences. 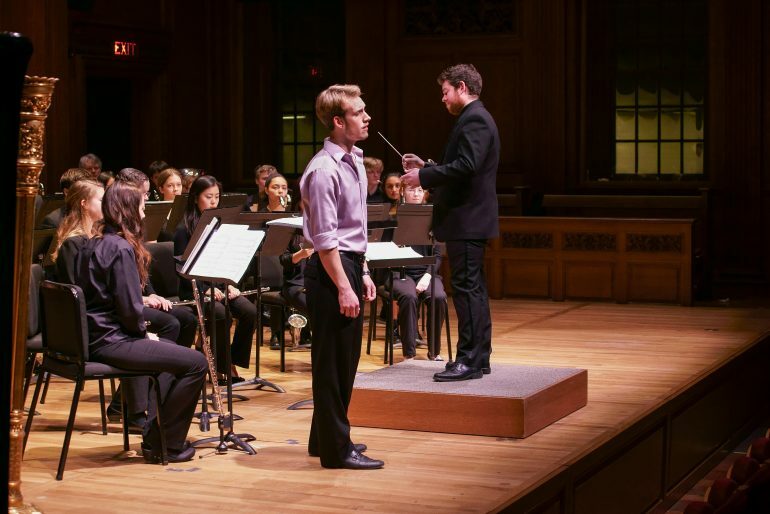 The wind ensemble has commissioned works from composers Lukas Foss, Michael Torke, John Frantzen, Michael Weinstein, Dana Wilson, Kyle Gann, alumni Judd Greenstein ’01 and Benjamin Wood ’08, and Professor David Kechley. 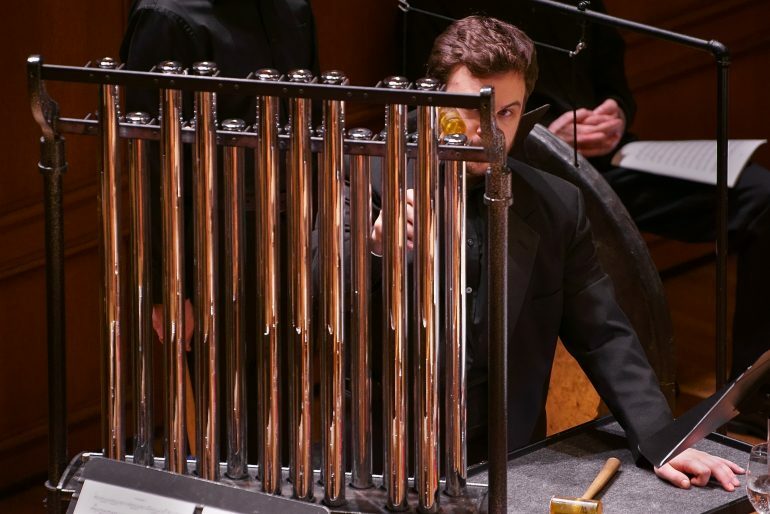 The ensemble has also given the American premieres of several works by the Dutch composer Louis Andriessen. 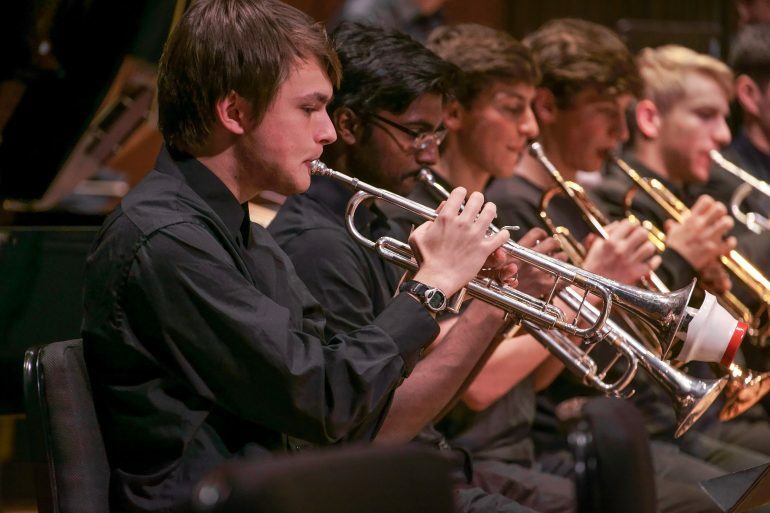 Currently, the ensemble is accepting new members on all instruments, including: woodwinds, brasses, percussion, piano, harp, string bass—with occasional performance opportunities available for solo strings, voice, and guitar. 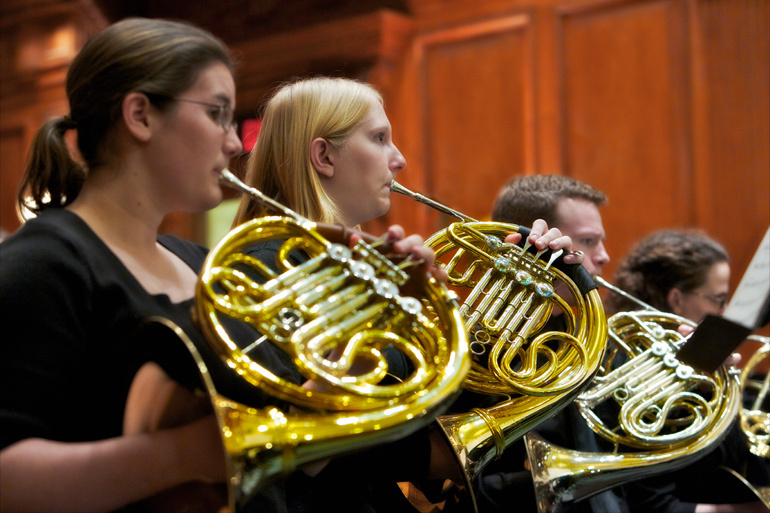 The Williams College Wind Ensemble is open at the beginning of each semester to all members of the college community. 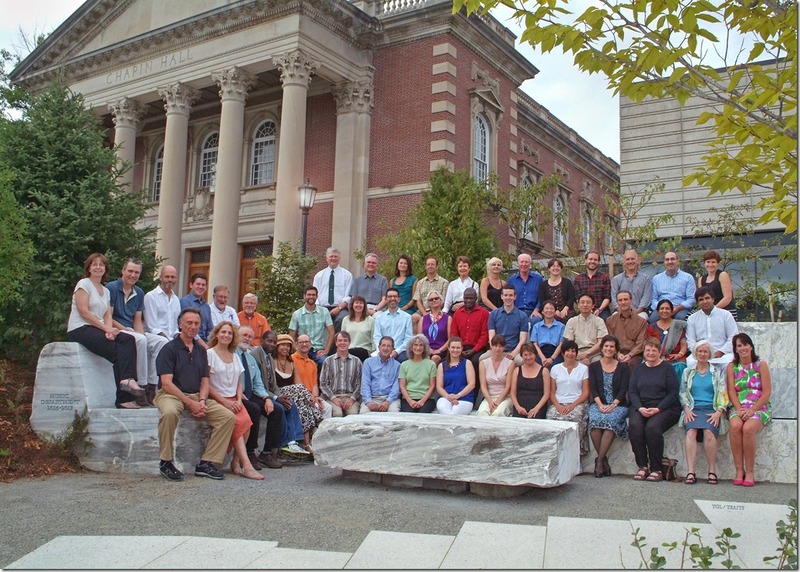 Auditions are held at the beginning of the academic year and are strongly recommended but not required. 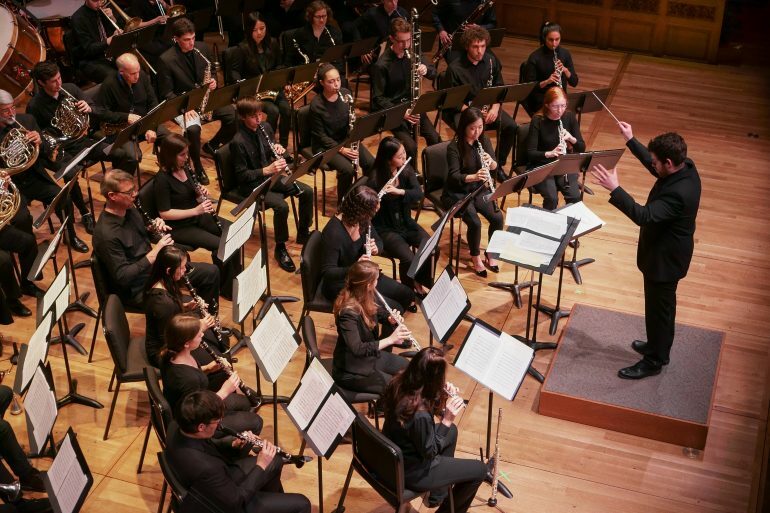 The ensemble rehearses once each week and aims to create an artistic and enjoyable wind band home for all members of the college community. It is directed by Brian Messier.